Roland is one of the first companies to officially pull back the curtain on a brand new product just hours before NAMM 2019 gets underway this weekend in Anaheim, California. Among the first products announced is a new kind of drum module — the Roland TM-1. This new pedal-type unit brings both ease-of-use and affordability to drummers everywhere who have been longing for a trigger that allows them to combine electronic samples with their typical acoustic setup. The Roland TM-1 contains 2 different triggers on the front face, with 2 trigger inputs on the back that pertain to each one. Each trigger module has its own set of knobs to adjust sensitivity, pitch, decay, and overall output level. Additionally, on the back are an on-off power switch, two 1/4″ outputs for the trigger output and headphones, a DC power supply in, and a USB type B input for computer, phone, or DAW connectivity. The layout is a pedal style, which makes it very easy to navigate and use when drummers are performing onstage and need to change their settings or presets. Speaking of presets, the TM-1 also comes pre-loaded out of the box with some typical electronic percussion hits — meaning you can plug in and play with it immediately upon setup. Or, you can start adding your own samples by using the Roland Wave Editor available on desktop, as well as iOS and Android devices. The Roland TM-1 was announced just ahead of NAMM 2019, and has a suggested retail price of just $159. Which makes this box even more worth your while, considering most other modules on the cheap end can be purchased for just a small amount less. That makes this a great choice for those looking for a module that won’t put a significant dent in their wallet. 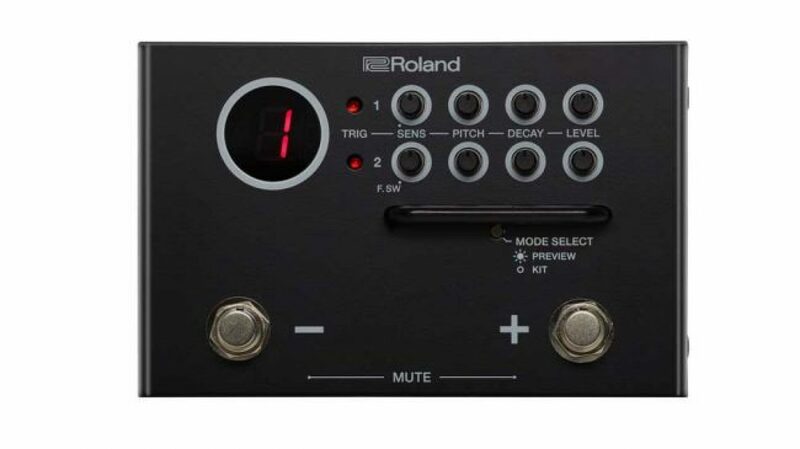 To learn more about Roland’s new TM-1 drum trigger module, or to keep an eye on where you can pick one up for yourself soon, feel free to visit the official Roland website.